After a bit of time working on my printer (just your average maintainance - bed levelling, extruder check-up, etc. ), I tried something I never had before: printing an object that maxed out in x-y. Well, it didn't max out theI plate (it was 195mm square on its bottom), but it got pretty close to it. Anyways, here's the deal with the print: I sliced it with my normal settings (skirt included) and started printing. It homed, as per usual, then started printing the closest side on the x axis. It went fine, then it hit the edge. I watched it go along the edge, then it hit one of the bed clips. Acting much like a drunk guy, it continued along the edge of the print, off-center to the right. I stopped the print by going into the Ulticontroller menu, and it did something it never had before: it moved the head to the left back corner (not homing) and continued to ram into the corner without stopping. I quickly shut off the machine, and went into full problem-solving mode. I re-leveled the bed, checked the .gcode, re-sliced it (without the skirt), and tried reprinting. Same problem. Then, I checked the extruder, checked the motors, checked the machine overall, checked the homing sequence - everything looked normal. I even tried cutting the model down to 170mm square, but the same thing happened. Out of curiosity, I checked the homing probes - no problem there. I got really frustrated (I am not a patient man in any way. ), and looked over every single option and setting in Cura that I could see. I rechecked the .gcode. Everything looked normal! I am completely dumbfounded right now. I have no idea what could have caused this. I'll put some photos of the print down here in case my description wasn't... descripive enough. Please help! I'm dyin' over here! Thank you for your post. You are saying back left corner? You photo shows back right corner, or is that not a picture of the Ultimaker homing? After reading your post, I understand the head is homing in the wrong corner? I do know from experience, if you swap the X & Y motor cables on the electronics instead of front left it will home in back right. Could that have happened? If your head, for whatever reason, misses an end stop and hits your frame it may sound frightening, but it isn't really. 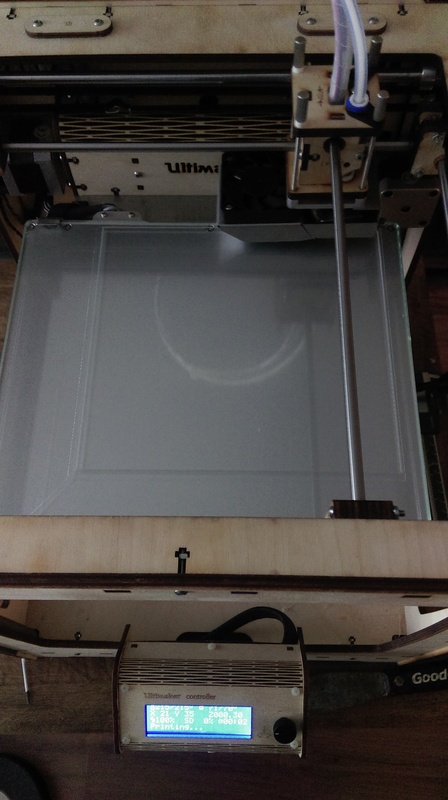 You'll hear the motor skipping steps which is noisy, but it won't harm your Ultimaker. Could you explain to me, what the problem is now that keeps happening? That it hits the clips, or the frame? I think I figured out what happened, and it'll make me look like a complete and total idiot: I had the wrong machine set up in Cura. It was set up for my old Robo3D, which I returned in favor of this one. I reprinted with the right machine, but it still happened - just not as extreme. It still hit the back right clip (to answer your question), and no, it still homes in the front left as it usually does. 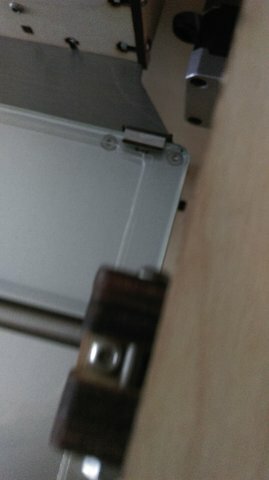 The entire model is off-centered, and it's still printing in the back right of the printer, which hits the clip. 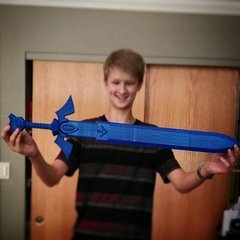 I haven't had any success with any x-y max prints. Even when I scale it down to 170 x 170mm, it does nothing.